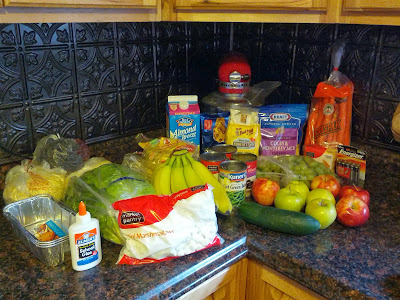 Fru-Gal.org: This week's grocery trip for $55.55. This week's grocery trip for $55.55. Here is our week's grocery trip for $55.55, which includes the pack of batteries and Elmer's glue for Anna's schoolwork. I went to two stores, Target and Sprouts. I'm also putting together some extra freezer meals this week for my hubby's hunting trip in November.